U2 frontman Bono and former President George W. Bush are one of the more surprising, yet inspiring, friendships to come out of Washington. The two got to know each other by working together on the U.S. President’s Plan for AIDS Relief, or PEPFAR. Their efforts have helped provide relief to millions of Africans diagnosed with HIV. Since its inception, PEPFAR is reported to have saved 18.9 million lives, put 14.6 million people living with HIV on lifesaving treatment, supported 2.4 million babies born HIV free to HIV positive mothers, provided voluntary medical male circumcision to 18.9 million and supported HIV testing services for 95 million people, according to the AIDS Health Care Foundation. It is "the biggest single disease-specific global health initiative in history." Look at what these two men, who vastly differ politically, were able to achieve by pursuing a common passion. It just so happens to be a cause both of them are still fighting for today. Last year, 43 awarded Bono with the George W. Bush Presidential Center's Inaugural Medal for Distinguished Leadership for his anti-AIDS efforts. "Bono's passion for ending poverty and disease is the real deal. He uses his celebrity not for personal gain, but to improve and save lives," Bush said. "I am thankful for his big heart and for his leadership, and I am proud that he will be the first recipient of the Medal for Distinguished Leadership." On Friday, one day before World AIDS Day, Bono had the chance to return the kind words. "This is one of the most heroic chapters in the history of America," Bono told President Bush's daughter Jenna Bush Hager on the "TODAY" show. "It's right up there with the space program." 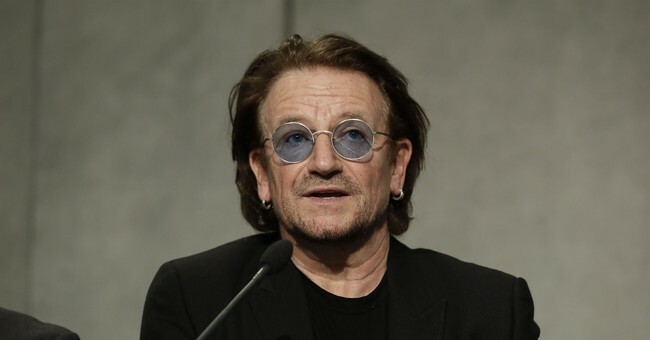 "I don't know if it's a Texas thing, but your father felt the weight of responsibility presiding over this - the greatest health crisis in 600 years," Bono told Hager. She responded that the feeling is mutual and that her father believes without him PEPFAR "never would have happened." The rock star humbly noted that he and the president were somehow able to cut through "the shenanigans of political cartooning." "I've become very fond of him," Bono said. "Underneath his armor there's passion, compassion." Working on PEPFAR, Bono shared, is the thing he's "most proud of" outside his family and his rock band. So, he and 43 are "bound together," whether the president "likes it or not." At one point he even did his best Bush accent. It's worth the watch. The Senate just voted to extend PEPFAR this week. With President Trump's signature, it will fund the program through 2023. PEPFAR has been a major force in the fight against AIDS. But, as USAID revealed in a report earlier this year, we still have a ways to go. The war against the disease is also complicated by a growing youth population, non-communicable diseases and declines in donor funding for HIV programs, Dr. Charles Holmes explains. He said the first step is to fix the gaps in quality care.